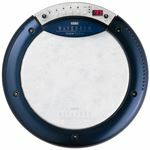 With Korg rhythm machines, synth pads, and mini instrument controllers, you'll enjoy portable tools that will add to your musical layout. AC Adapters and power supplies make sure that your Korg gear is running with the proper power, while their stands and attachments allow an adjustable setup. 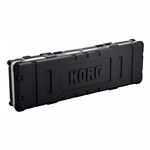 American Musical Supply is excited to be your stop for Korg Accessories! We offer True 0% interest payment plans - applying is easy and there is no credit check for our 3-pay plan on purchases from $49-1,500. Use your own debit or credit card, enjoy fast and free shipping, and add Korg Accessories to your creative setup. We make buying Korg Accessories quick and easy - in-stock items that are ordered before 4PM EST will ship out the same day! Do you have questions and want to know which items would be best for you? Give us a call at 800-319-9043 - our experts are standing by.